Puerto Vicente Guerrero is a small Mexican fishing community on the Pacific Ocean, about three hours away by car from Acapulco. 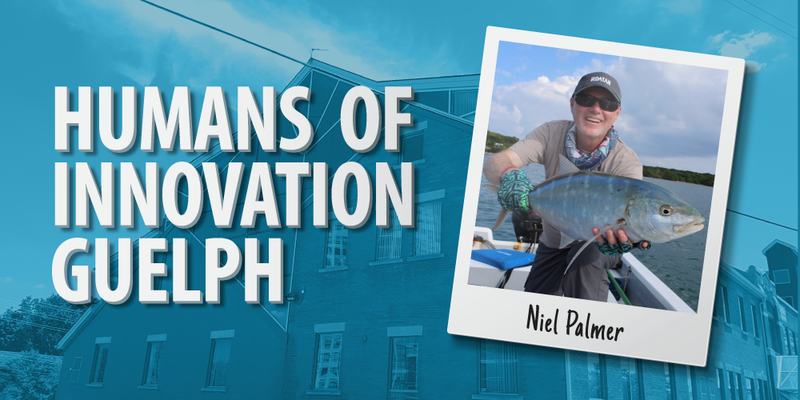 It’s where Niel Palmer, a Core Mentor with Innovation Guelph, hooked one of his most memorable catches: a 50-pound rooster fish. “It took about 40 minutes and it was 37 C, and the waves were huge. It was kind of crazy actually,” he said. The mentor has always loved fishing since he was young, and has spent more than 30 years fly fishing all over the world. He’s known his own mentor for about the same amount of time. It started when Palmer was fresh out of university, his newly printed B.Sc. in Physics and Mathematics in hand. He landed his first job in design engineering with the H. I. Thompson Company, an aerospace manufacturer in the process of changing ownership. Palmer has worked for many aerospace and manufacturing companies, spanning Bombardier de Havilland to Legrand Canada. Through every move, that mentor from his first job was there. And when he was ready to leave his last position, it was that same mentor who helped him decide to become a consultant. So Palmer went his own way and founded DevAd – a play on his sons’ names (Devon and Adrian) and the phrase, develop your advantage. Thinking he’d pop in and say hi, he found an opportunity instead. The company needed to get ISO 9000 registered, but didn’t know how to do it. Palmer, on the other hand, did. He tried the same thing with another shop a couple of weeks later. Doing that, he had landed steady employment for four days a week. It wasn’t long until his work got noticed, and he was introduced to Guelph MP Lloyd Longfield, one of the founders of Innovation Guelph. “At the time I didn’t know about Innovation Guelph,” said Palmer, but he liked what he heard. There weren’t many mentors back then, and they lacked expertise in manufacturing. He could fill that gap. That was four years ago. Since then, Palmer’s caught many fish – a 24-pound bull trout in B.C., a 25-pound coho in the Upper Pitt River and a massive permit in Honduras – and he’s helped many entrepreneurs through all the programs Innovation Guelph offers. Just like the mentor he’s had for 30+ years, he’s excited to be that person others confide in, who helps figure out the next strategy, listens to and challenges ideas, and gets them through the pain.